It's Taco Tuesday and National Sports Day! Join us on a Taco Cruise with your loved ones. 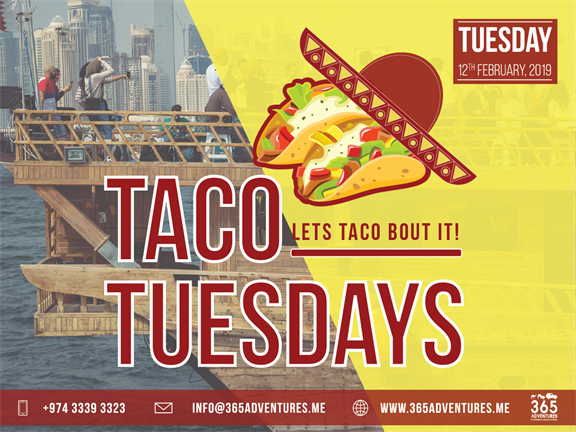 Swim by the Safliyah Island, enjoy delicious tacos and quesadillas for only 185QR per person. Limited tickets available only. Call 3339 3323 for inquiries. - 185 QR per person.